Thanks for joining our subscription Pin Club! Each month you'll get to choose from our curated pin options. We'll put together a pack of 2+ cluster pins or give you the option of a premium pin. Pick your pins and we'll ship them out! Use the same login and password you use to shop in The Bullish Shop. If you want to see and select pins in advance, make sure to do so 7 days prior to your next shipment. If you don't make changes, you'll receive the next premium pin if your last subscription choice was the premium pin, and the next pin pack if your last subscription choice was the pin pack. You can also use the dashboard to cancel your subscription or skip a month. 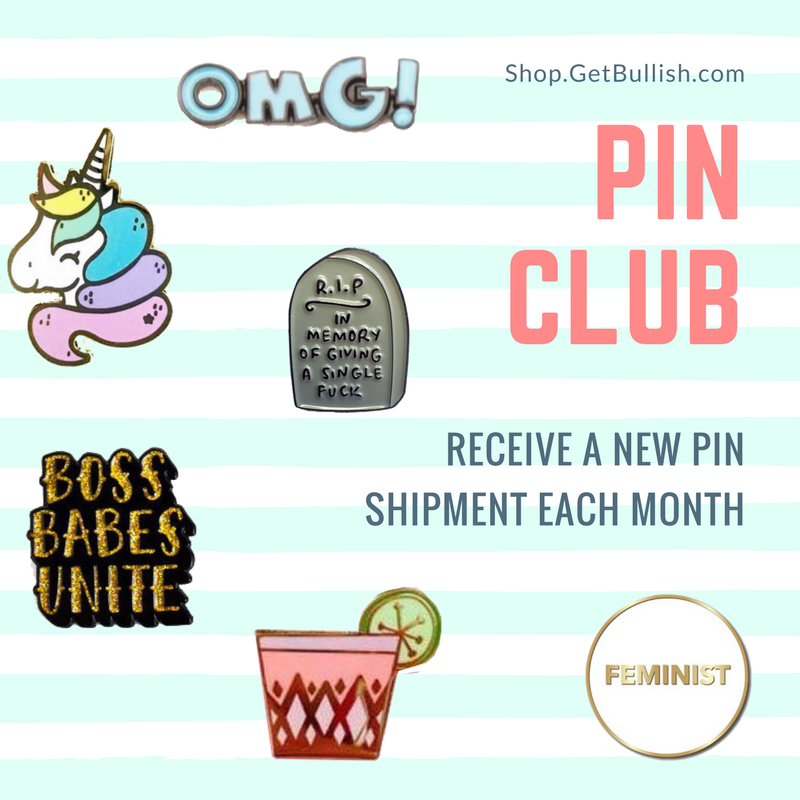 Pin Club is month to month and you may cancel anytime.